With nearly two hundred campsites across thirty-five regions in thirteen countries, Eurocamp offers an incredible array of holiday destinations. From soaking up the sun in Portugal or Croatia, to discovering unique European locations like Holland and Luxemburg, Eurocamp can help you find the perfect holiday for you and yours. Whatever you want out of your holiday, Eurocamp offers experiences which bring the whole family together. In every corner of Europe, Eurocamp creates unforgettable getaways that mum, dad, the kids and the grandparents will love. From the Jura to the Costa Brava, and from Susten to Sardinia, your holiday is in safe hands with Eurocamp. With unbelievable prices when you use your Eurocamp discount code, plus exceptional customer service, Eurocamp are dedicated to providing quality experiences for all its guests. With accommodation options from mountain lodges to safari tents, and of course the good old fashioned mobile home, you can craft the exact holiday you want. How do I use my Eurocamp discount code? Discounts are included in the final price. 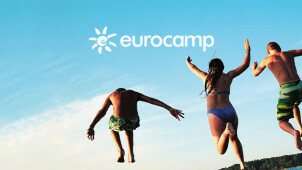 Get amazing deals and offers by signing up to Eurocamp’s mailing list. What will I need to bring on my Eurocamp holiday? All members of your party (including dogs) will need a valid passport. Dog passports can be acquired from your vet. If you are driving, you will need your vehicle documentation and your driver’s license. Can I get my hands on a physical Eurocamp brochure? Some people aren’t fond of computers, so click here if you’d like to order a copy of Eurocamp’s print brochure. Is insurance included in my Eurocamp package? Insurance will be an extra cost on top of your package payment. You can view personal insurance options here. Or you can talk to them live online here. To view details regarding changes, cancellations and refunds, see here.